This caramel coffee recipe is so easy to make. Medium Roast coffee, caramel flavored hot cocoa, caramel flavored coffee creamer. Topped with whipped cream and caramel sauce. 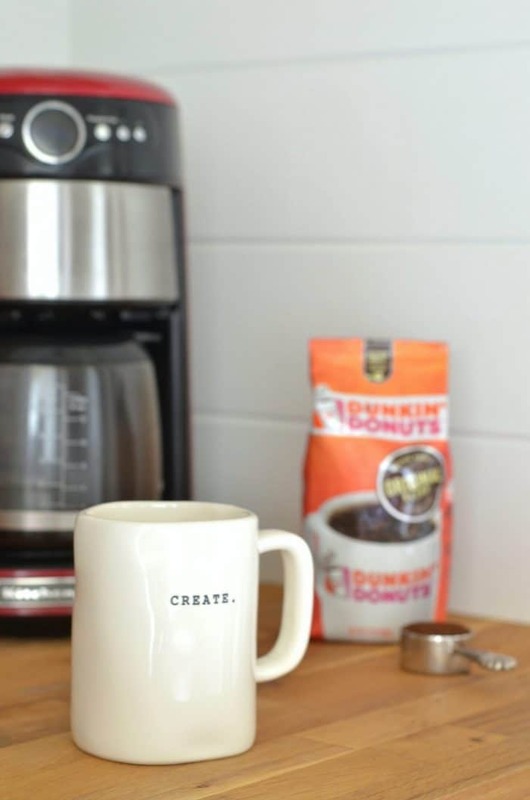 Last fall while in NYC for the Better Homes and Gardens Stylemaker event I was sitting with my husband in a great little coffee shop taking in the surroundings and I had an aha moment. I could recreate this at home. There is something about the experience of sitting in a coffee shop that makes you feel good. The taste and smell of coffee, yummy breakfast, and music playing in the background are the key to creating the coffee shop vibe. Heat milk then add caramel hot cocoa powder. Stir until completely mixed. 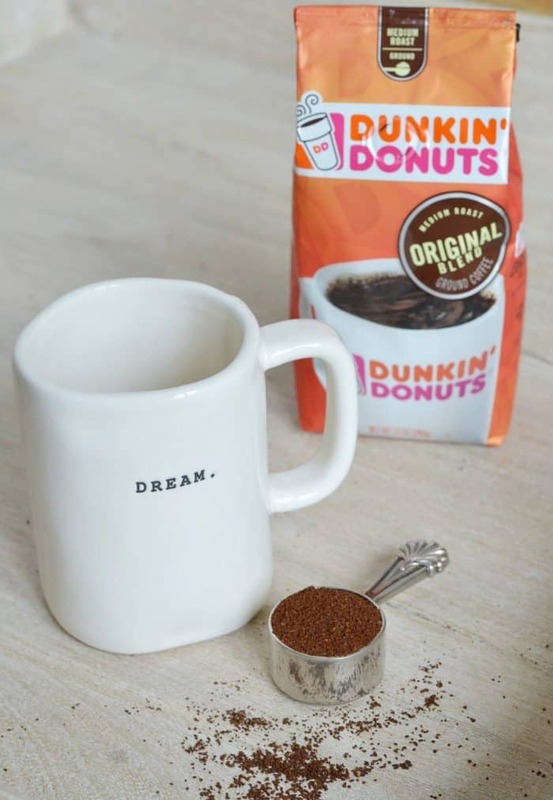 Pour into coffee mug. Next add Dunkin’ Donuts brewed coffee. Stir in desired amount of caramel flavored coffee creamer, usually 1-2 teaspoons. Add whipped cream topping and drizzle with caramel sauce. 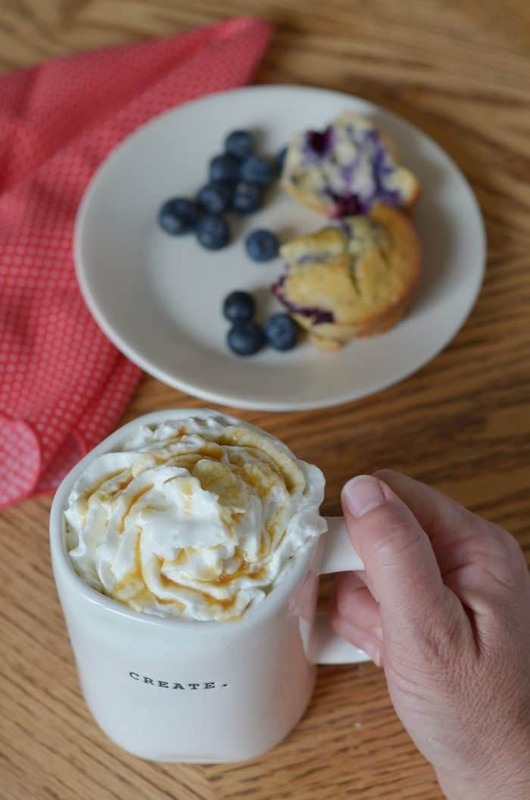 Make a yummy breakfast to go along with the caramel coffee. 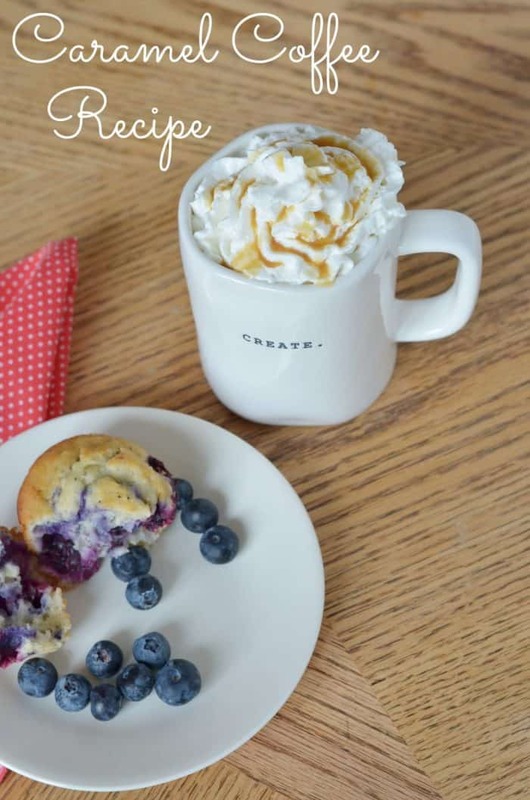 Blueberry muffins are a family favorite. 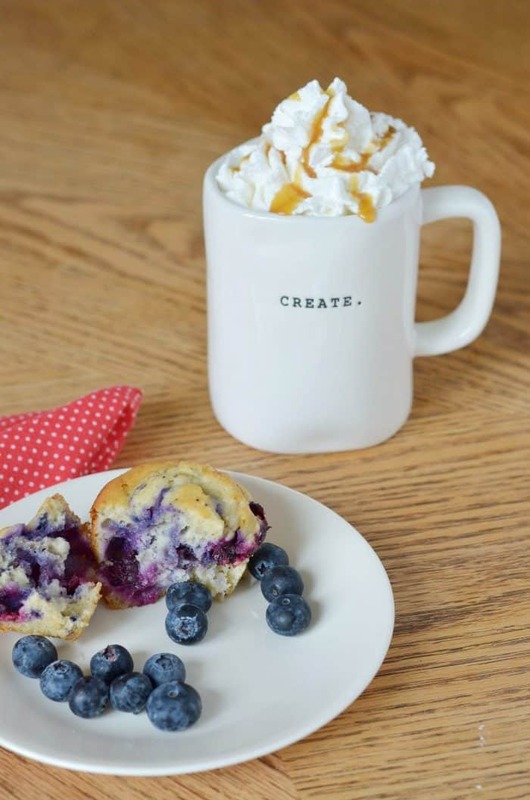 I love to buy ready to mix muffins adding fresh blueberries to the batter to create a hearty, coffee shop style muffin. I also bought all of that at Publix. To make our coffee shop vibe complete we play music. Of course play your family favorites but I recommend some big band music. It really sets the tone for a wonderful experience. 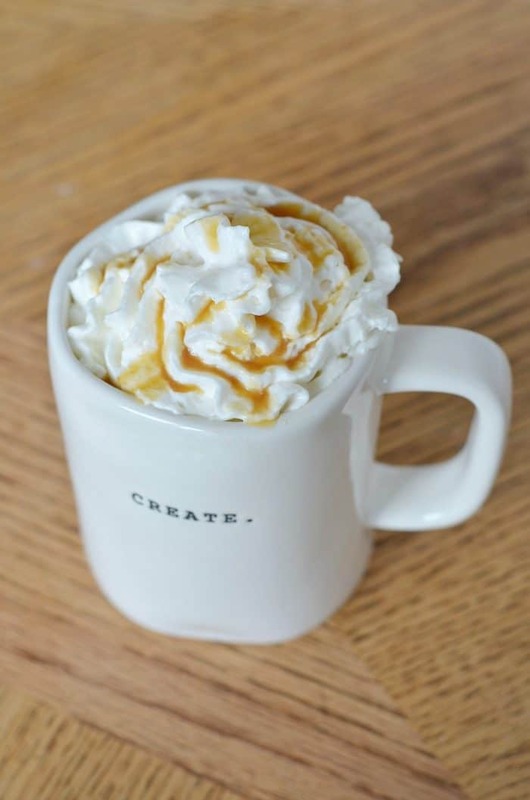 The caramel coffee recipe is my daughters favorite and of course teenagers love coffee shops. To make sure we have enough time to enjoy our own little coffee shop at home I give her a heads up the night before so she can factor in extra time before school to have breakfast and coffee with me. Yes, I do include the music on school days. It’s a great way to start the day. As always, I’d love to hear how you create special moments at home. Sharing ideas is always fun!